Line a 8×8 in glass baking dish with foil. Set aside. In a microwave safe bowl dump the Biscoff and frosting. Do not mix. Microwave vanilla and Biscoff for 1 minute. Remove from microwave and stir until Biscoff is melted and it’s combined. Spread in your foil lined baking dish.Refrigerate until firm. 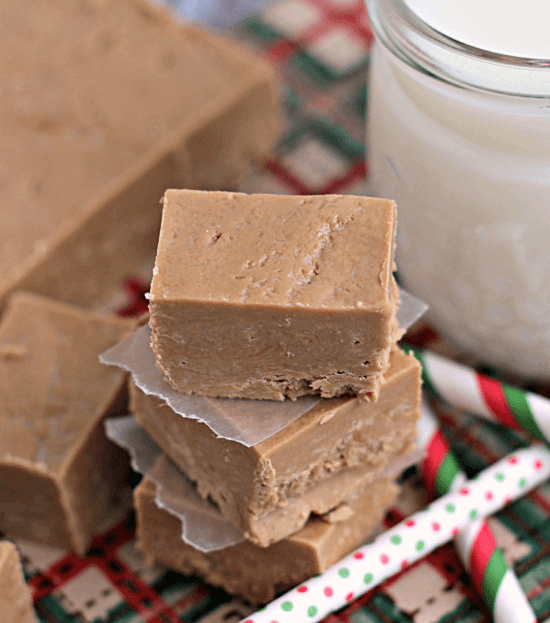 Remove fudge from baking dish using foil and cut!